Elaine Jack, City Improvement District Manager of Sandton Central Management District (SCMD). However you come to Sandton Central – on foot, by bike, using public transport or a private car – your journey will soon be easier. The roads and sidewalks into and around South Africa’s vibrant business hub are getting better. 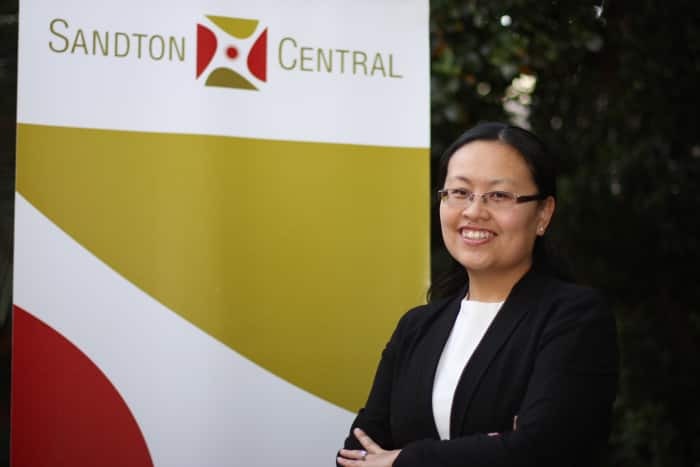 Elaine Jack, who is Sandton Central Management District’s (SCMD) City Improvement District Manager for Cushman & Wakefield Excellerate, says significant progress has been made improving Sandton Central’s roads by the City of Johannesburg. What’s more, much of this work has been, or will soon be, completed, alleviating a considerable amount of traffic congestion as a result of the strategic roadworks. “We are very pleased the project to complete the streets of Sandton, which will make them accessible to all road users, is coming to completion,” says MMC Nonhlanhla Helen Makhuba, MMC for Transport in the City of Johannesburg. “Good quality roads and sidewalks contribute to making our City an attractive investment destination and assist in meeting our mandate to grow the Johannesburg economy,” she adds. For pedestrians, there is no sidestepping the issue of quality sidewalks. Pavements and street lighting adjacent to roads are as important as the roads themselves. Key pedestrian routes have been upgraded to make the sidewalks more walkable, universally accessible and environmentally friendly. These upgrades include improving surfaces and adding street lighting and landscaping. 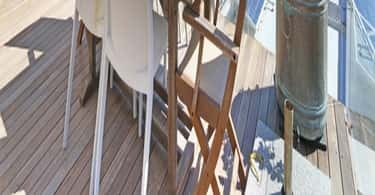 By being transformed to be universally accessible, they are easy to navigate for people in wheelchairs, and those who are blind, pulling luggage or carrying prams. Pedestrianisation projects in Alexandra and Sandton area already complete. For Alexandra, this includes upgrades to streets such as Rev Sam Buti, Joe Nhlanhla, Richard Baloyi, 10th Avenue, 16 Avenue, 4th Avenue and 8th Avenue. 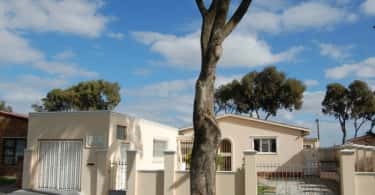 In Wynberg and Sandton, upgrades have taken place in Rautenbach Avenue, Grayston Drive, Katherine Street, Linden Road, Rivonia Road, West Street, Friedman Drive and 5thAvenue. A critical pedestrian project is the soon-to-be-completed new Grayston bridge, which is the final step in a dedicated walking and cycling path between No 3 Square in Alexandra and Sandton City in the Sandton Central. Over 1.3 kilometres of dedicated cycling lanes have been built between Sandton and Alexandra, and around Sandton Central. Dedicated cycling lanes are much safer for cyclists and it is hoped this will encourage more people to cycle. Sandton Central is already superbly accessible for some forms of public transport, such as rail with the Gautrain Sandton Station providing a direct link to OR Tambo International Airport, Joburg CBD and Pretoria. Now, even more public transport is set to serve and connect with Sandton Central. Firstly, from August, there will be a dedicated public transport loop for all public transport vehicles around Sandton Central. The kerb side public transport loop runs along Rivonia Road, Friedman and 5th Avenue. This should make it easier for commuters using PUTCO, Gauteng Coaches, Metrobus and minibus taxis to end or start their journey in Sandton Central. Then, from October 2018, the Rea Vaya BRT will travel between Sandton Central, Alexandra and the Inner City CBD on a trunk route. Its services will start at 5am in the morning and run until 10pm at night. Its articulated buses will also have higher frequency during peak times – from 6am to 8.30am in the morning and from 3pm to 6pm in the afternoon – when they will run every five minutes. Key stations will be in Sandton’s Katherine Street, opposite Athol Square, and along Louis Botha Avenue. The trunk buses will also stop at the Sandton Gautrain station, where options for an intermodal interchange are currently being considered in conjunction with Gautrain and developers. Sandton Central will be served by two trunk routes, one through Hillbrow and another via Braamfontein (Metro Centre). Both routes will terminate at Gandhi Square where Metrobus passengers can transfer to the Rea Vaya system and visa-versa. Expanding the service’s reach, there will be complimentary buses between Sandton Central, Alexandra and Greenstone. These buses will also have two routes, with some using London Road and some using Florence Maphosha Road. They will run at a similar frequency as the trunk route buses. A big driver of these road improvements is introducing integrated public transport in Alexandra and Sandton, which is intended to reduce traffic congestion and begin to create a shift from the use of private vehicles to public transport. In addition to this, a number of key projects are eliminating traffic bottlenecks for private vehicles. Widening the Zandspruit Bridge and Katherine Street all the way to the M1 highway Marlboro Drive off/on-ramp has already improved traffic mobility between Sandton Central and the M1 Marlboro off/on-ramp at this very popular access point to Sandton Central.